The RF coils are used to transmit and receive radio waves. The transmission and reception of these waves affect the quality of the image produced. 1. 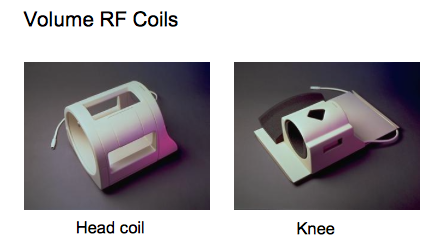 Volume RF coils: These coils enclose the volume of the sample being observed. 2. Surface coils: These coils are placed close to the area under examination.